Symbol LS7808 - USB kit: Includes scanner with tin oxide glass top, EAS antenna, USB Cable, reference guide and product CD. Does not include power supply (Part# 50-14000-058R) or line cord. See accessories. Color: Black. The LS7808 is Symbol's new in-counter mini-slot scanner designed to meet the needs of medium to high-traffic retail customers who require an omnidirectional, flush mounted scanning solution that reads bar codes quickly and easily and blends into their POS environment. A variety of connection options and an EAS system are standard. Service (3 Year, Service from the Start, On-site - Bronze) Please Note: your Symbol Service Contract is valid once all information is processed. 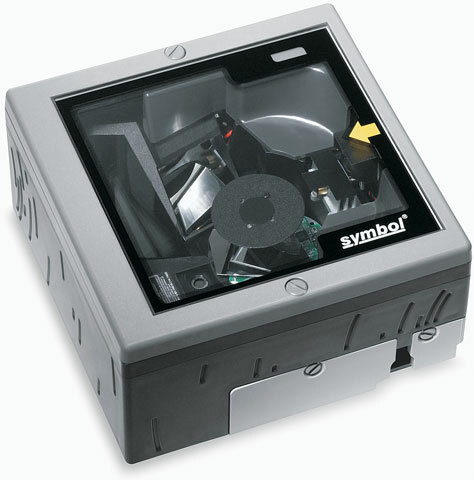 The Symbol LS7808-BNNU0100ZR is also known as Symbol Technologies	SYM-LS7808BNNU0100ZR	or LS7808BNNU0100ZR	.